June | 2017 | Footwear Fashionista … a sneak peek into my shoe closet! Just add a little fringe. 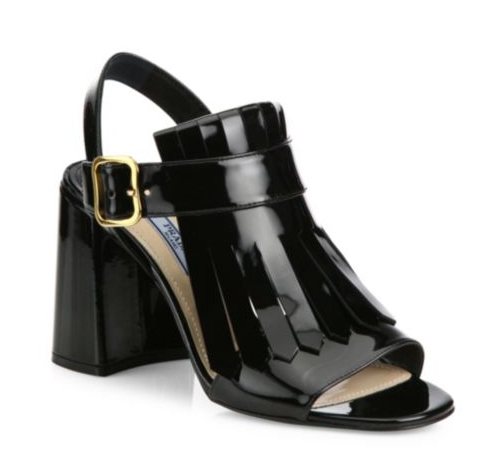 Prada, patent leather, kilt-block heel sandals. Clean, classy and simple. So don’t let a 3.75″ heel intimidate you – these are very wearable, very walk-able and feel more like a 2″ heel. This sandal has it all … fringe, patent, peep toe, ankle strap, block heel, loads of style … love.